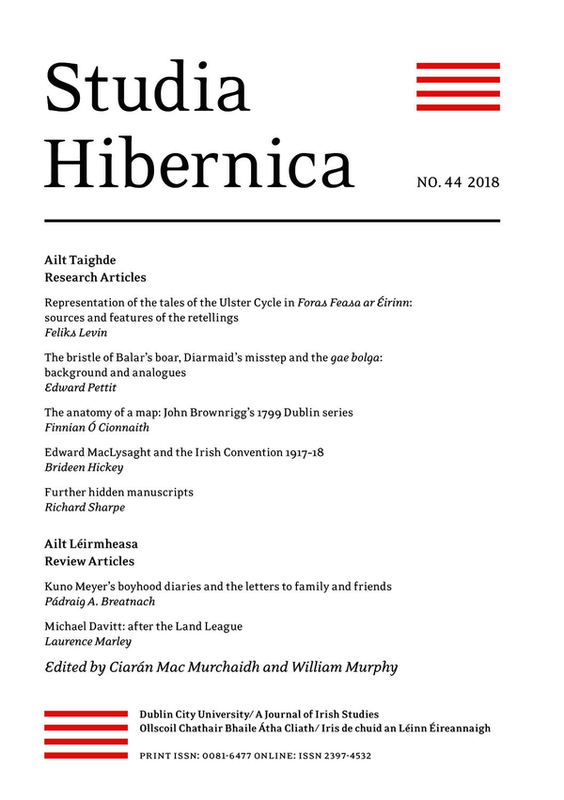 Founded in 1961, Studia Hibernica is devoted to the study of the Irish language and its literature, Irish history and archaeology, Irish folklore and place names, and related subjects. Its aim is to present the research of scholars in these fields of Irish studies and so to bring them within easy reach of each other and the wider public. It endeavours to provide in each issue a proportion of articles, such as surveys of periods or theme in history or literature, which will be of general interest. A long review section is a special feature of the journal and all new publications within its scope are there reviewed by competent authorities. Dr William Murphy is Lecturer in Irish Studies at Mater Dei Institute of Education, Dublin City University.